From the upcoming BREXIT referendum going down to the wire in the UK according to latest polls, to the rise of Donald Trump in the US, the narrow defeat of the far-right Freedom Party in Austria last month's elections, and electoral gains enjoyed by Germany's Alternative for Deutschland and France's National Front, there is no denying that storm winds of xenophobia and isolationism are sweeping through both sides of the Atlantic. The key concerns are immigration, unemployment, stagnant incomes and a certain sense of loss of autonomy and a way of life to external forces, be it Brussels bureaucrats, multi-nationals, or global capital. Throw into the mix the threat of terrorism, and one can begin to see why building a wall has become such a popular slogan in the Trump campaign. The sentiment seems to be: there are barbarians at the gate, there are enemies within our borders, our way of life is threatened, and while we are hurting, our politicians are either indifferent or actively working in the interest of external forces. From the economic point of view, the common thread in all this discontent can be summed up in three words: trade, capital-flows, and migration. The irony is that economists extol the virtues of free flow of goods and services, of labour and capital, of skills and ideas. Yet, while being perfectly aware of it, they have little to offer in the way of solutions to the following basic problem: by its very nature, trade and flows of capital and labour create gainers and losers. A resident of London enjoys the best French wine, Belgian beer, German cars, fruits from Latin America and vegetables from Europe at remarkably low cost. The morning cup of coffee on the way to work is served by an Eastern European, and if you need a plumber or a cleaner, you will very likely find someone from Poland or Bulgaria willing to work at a little above minimum wage. Those working in the City (as the financial district is called) in academia, research, consultancy and other sectors that employ high-skill Indians work with the best talent in the world. Polls suggest that this group of younger, educated voters in more high-skill jobs tend to oppose Brexit because they tend to benefit from trade and migration. 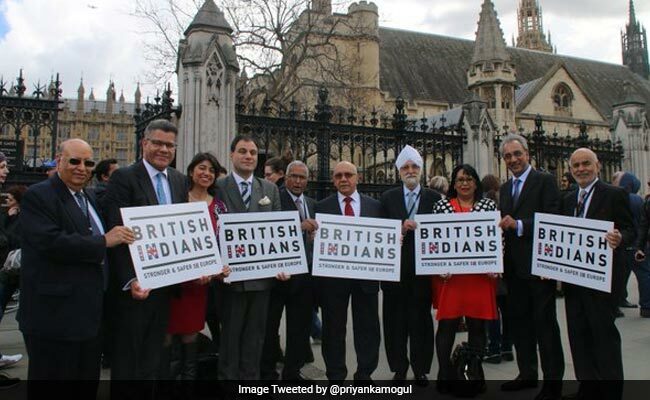 The "British Indians for IN" campaign was launched yesterday with the backing of 15 British-Indian lawmakers including Keith Vaz, Shailesh Vara, Lord Karan Bilimoria, Virendra Sharma and Seema Malhotra among others. In contrast, supporters of Brexit tend to be older, less-educated, low-wage workers with little job-security who face downward pressure on wages from unskilled migrants. For them, not only do the benefits of trade and migration enjoyed by the younger professional classes apply, but being more dependent on welfare benefits, they also worry about these being unfairly claimed by immigrants. Even among white working-class Trump supporters in the US, the main reason to support Trump is jobs and the economy, and the expectation that Trump's tough-guy stance will enable the US to strike better trade deals and "bring jobs back to the US." People are much more driven by economic insecurity than bigotry, according to a survey by Working America, affiliated to the largest federation of labour unions in the US, the AFL-CIO. This broad pattern is consistent with the reaction of the Indian diaspora to Brexit. In terms of country of origin of immigrants to the UK, Indians are at the very top. 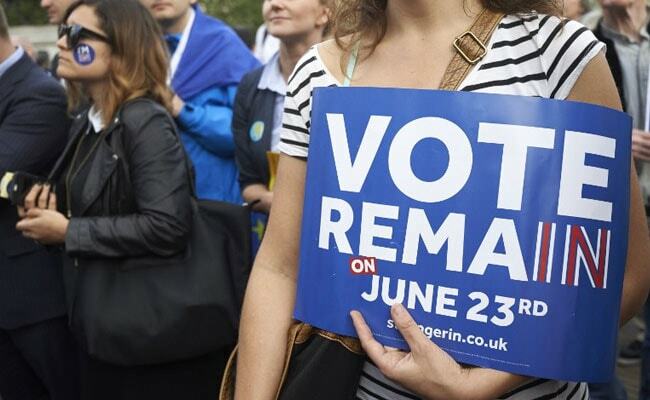 While opinion polls keep changing like British weather, a recent poll suggests 52% of Indian-origin voters are against Brexit, with 28% being in support, and the remaining undecided - who could play an important role in tomorrow's vote. The reason is simple: Indians in the UK tend to be young, highly educated and employed as professionals or skilled workers for whom trade and migration in an integrated market is a net-plus. It is interesting that while theoretically, immigration can reduce wages, studies by my colleagues at the LSE show that there is little evidence of an overall negative impact on jobs or wages. The main reason is that immigrants tend to be younger and better educated than their UK-born counterparts, and contribute to growth and employment generation by supplying critical skills and entrepreneurship. Similarly, despite the claim that immigrants abuse the benefits system, studies such as this show that immigrants contribute far more in tax revenue than they claim in benefits. Why then is immigration such a hot-button issue, shaping the discussion around the Brexit debate as well as the Trump campaign? The reason is that economic dislocation caused by impersonal market forces inevitably results in a search for visible scapegoats. No doubt xenophobia and racism is at work among some of Trump and BREXIT supporters. But these are symptoms of a deeper problem. The economic reason behind the wave of xenophobia, whether it is the anti-immigrant rants of Donald Trump or UKIP leader Nigel Farage, are really a misdirected rage at visible scapegoats of globalization. You cannot say that with integration of global markets and lower transactions costs due to the IT revolution, capital has become more mobile and will move to wherever labour is cheaper, and that is why you lost your job or your wages are stagnant. 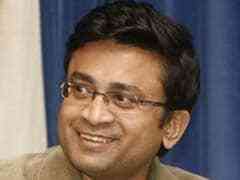 Tough luck, mate: it is just factor prices adjusting to a more efficient resource allocation! It is so much easier to say it is those Mexicans who come here and steal your jobs, the Polish workmen who are displacing the locals, the Indian call centre workers, or the vast army of Chinese workers who are the villains of the piece. The problem with these views is that they divert attention away from the objective forces that creates these hardships, and potential solutions. Ethnic identity is visible, while changes in the global economic landscape much less so, and it is always easier to blame an identifiable group than the invisible hands of the market. Moreover, to blame the economic problems facing the working class in the UK and the US only on globalization is misleading. They have as much to do with domestic policies. Globalization is a genie that is out of the bottle, for better or worse. It creates winners and losers. One needs to focus energies on revamping the welfare state to strengthen the safety net to protect the losers from this process. You cannot push austerity and free trade policies simultaneously, as the UK government is doing. And as far as the US is concerned, its welfare system is among the least generous among developed countries. Globalization also creates opportunities. But rather than pursuing policies that promote mobility so that the next generation can take advantage of these opportunities, policies of raising tuition fees and greater emphasis on private education take higher education out of reach of working-class families. It also entrenches class divisions and a festering resentment toward the elites, whether native or high-achieving immigrant groups. The challenge is to reform and revitalize the welfare state in the era of globalization, and put as much emphasis on enabling the poorer sections of the population from taking advantage of the opportunities that globalization offers, as on attracting trade and investment. The answer lies in Fixit, not Brexit.